Matt Pemberton, the co-founder of The Little Veggie Patch Co reckons that no one is really a green thumb or a black thumb: there are only people who water or don’t water their plants. But if you’ve made a few attempts and left a cascade of dead herbs and vegetables behind you, you may not believe it is all so simple. 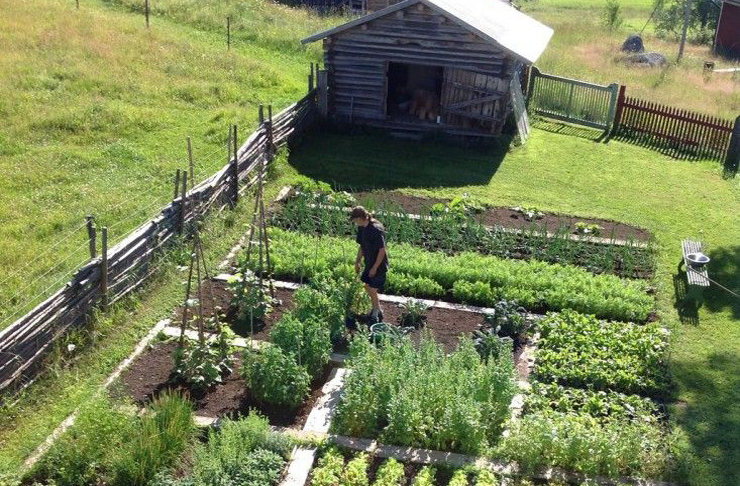 It’s hard to find someone in this day and age who knows how to make an epic kitchen garden on the first go, but it is possible. Here are a few easy tips to get your confidence up and your kitchen garden cranking. This seems pretty obvious but, like a newborn, plants need to be fed consistently for them to grow. Queensland heat is brutal so watering really is a non-neg. A good tip is to make watering part of a routine (after a morning run, or before dinner) so it’s easy to do it every day. Not all dirt is created equal. The dirt you can buy from the local hardware store or supermarket is unfortunately not the stuff that plants’ dreams are made of. But there are some easy hacks to up soil health. The easiest way to enrich soil is to add organic matter like kitchen compost. Another good idea is to provide soil with ‘blanket’ that insulates it from the sun: you can do this by covering it with grass clippings after mowing. This keeps water in and stops soil from getting dried out and sunburnt. In a nutshell, healthy soil = happy plants. My first foray into growing a garden was planting mammoth sunflowers. I diligently planted the seeds, but a week later I looked glumly at the unchanged ground. Luckily my wise old neighbour Barry happened to walk past. "Just keep watering them and they’ll grow," he advised. I kept going and a week later sunflower shoots were there. Nature takes weeks, not days – be patient! Thanks Barry! Growing plants from seed takes a bit longer than buying ready grown ones, but usually has a much better result. Why? Plants bought from the supermarket, hardware stores and the like have often been held in cold storage and can die of shock (for reals!) after being transplanted into the warm ground. I buy my seeds from awesome organic companies like Eden Seeds, The Diggers Club, The Little Veggie Patch Co and Greenpatch Seeds. Success breeds success, right? So I’d start with the easiest plants for Brisbane’s climate. My choices would include rocket (it grows super quickly and tastes so peppery brilliant), marigolds (they bring all the bees to the yard), sunflowers (grow pretty much all year round) and tomatoes (are so prolific you barely have to do anything). Yum. Super simple? While you wait for you garden to grow, why not hit up Brisbane's Best Farmer's Markets!